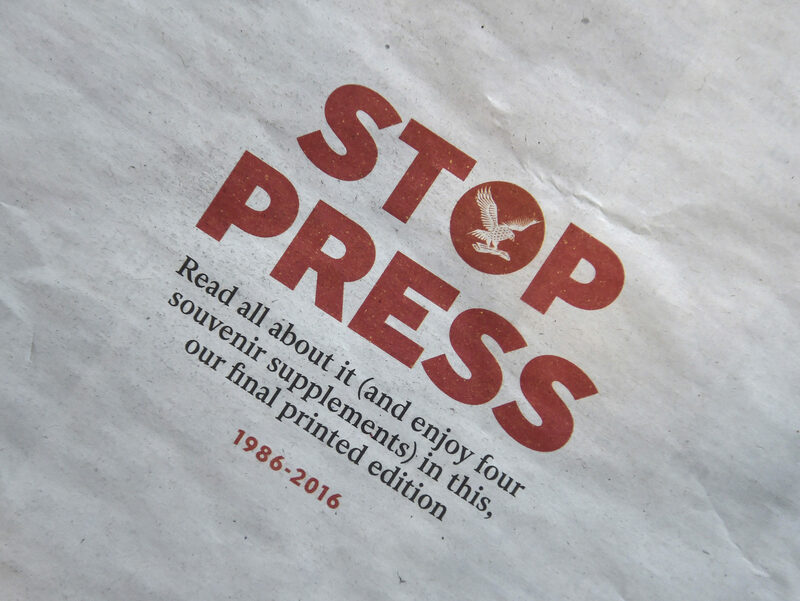 There’s a motto that editor Christian Broughton is said to repeat about the closure of The Independent newspaper. It goes: “We love The Independent and in order to keep it alive we had to close the newspaper,” or so the title’s digital managing editor, Zach Leonard, tells Press Gazette. On 26 March last year The Independent published its final edition, nearly 30 years after it was first founded. A week earlier the Independent on Sunday also bit the dust. The paper’s closure was lamented by the journalism industry. Around 100 journalists are believed to have been made redundant with a further 45 switching from the print edition to the website. A number of other journalists moved over to the i newspaper which was bought by Johnston Press in April 2016. Free of print and distribution costs, it was a matter of months before a newly digital Independent was in profit. By the end of September (the Indy’s fiscal year end) The Independent was in the black for the first time in 23 years. Leonard explains: “While print was running, the digital side was profitable. I could see that The Independent’s journalism and its audiences were growing globally and the money with it. Broughton is reluctant to dredge up the past and talk about the period which saw him take the reins from outgoing editor Amol Rajan. “It just feels very distant now”, he tells Press Gazette. His more immediate concern is finding desks for new recruits at the title’s base in Northcliffe House, which it shares with sister paper the Evening Standard, the Daily Mail and Metro. Total editorial headcount at The Independent has grown to just over 100 from around 85 when it first went digital-only. Broughton says The Independent has recently “strengthened” its operation by hiring new section chiefs, including head of news David Marley, lifestyle editor Dave MacLean and sports editor Ed Malyon. It has also revamped its lifestyle section – now Indy Life – and launched fact-checking service Indy Fact, which employs the equivalent of three reporters. The latest ABC figures, covering March, put The Independent’s daily average unique browsers at 4.8m, up 56 per cent on the same period last year. In a month, 93.8m unique browsers now visit the website according to ABC. Leonard says the title “may look” at implementing a paywall in future, having been impressed by the “level of sophistication” now available in the market – with premium content and metered paywalls at major titles – after earlier experiments in the US. “There’s a way of doing it that could potentially be useful,” he says, but he adds that advertising, which is still the “predominant revenue stream” for The Independent (of which display advertising makes up the majority), is “too interesting at the moment to leave completely”. Since it turned digital only the Independent claims to have doubled the number of subscribers to its page-turning Daily Edition app (now more than 10,000 total), compared with the number who previously subscribed to the paper. And despite industry-wide pressure on advertising, it is said to be on track to exceed revenue and profit targets this year. For Broughton, the switchover to digital has brought new editorial gains, not least by doing away with the traditional print/digital compromise within the newsroom. “We just are one team,” he says. “There is no paper team. That sounds like a really obvious thing to say but it makes such a massive difference. “It’s such a profound change that you see everyone has to be massively brought in to the project because we are all here and doing one thing now. This new focus “has really paid off”, adds Broughton, who says: “Not having to do two really different things at once has been something that has filled the room with a lot of energy. “We were quite separate before. We had a parallel set up between the paper and digital, so we were still – or we thought we were still – very much able to make those fast decisions and focus on digital. 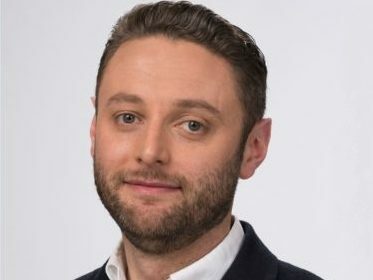 Broughton first worked for the Independent while still a teenager and says he’s been around long enough “to remember quite a few waves” of editorial redundancies over the years. But he claims the title’s new-found success has created “an energy” that he puts down to conversations being about increasing staff numbers rather than cutting back. “We are growing and when you know that you’re growing the team, you’re having new ideas and launching new sections and the readership is going up, it really does fill the place with a much more optimistic spirit. 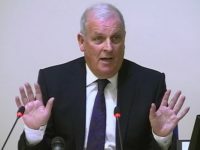 Despite the latest web figures being shown on a “big board” in the Indy newsroom, Broughton insists stories aren’t pitched purely on the number of clicks they might generate. “It’s absolutely traditional news values informed by what readers like,” he says. “They’re not in contrast to each other. It’s 100 per cent and 100 per cent. “We don’t let audience data make the decision [on a story] and close off the decision. But you have to treat analytics responsibly. You have to remember that you’re a journalist at the end of the day and you make decisions for journalistic reasons. “But it’s fascinating to see what people want to read. For many years working in print I have sat in briefings to see what focus groups made of our print products – what they enjoyed reading and the names they said they recognised and the sections of the paper they enjoyed most. “There has always, in journalism, been a craving for better information on consumption of what we produce and now we get it live and in detail like we’ve have never had it before. Where stats do help is in supporting a story idea that may otherwise have been dismissed. Broughton highlights a Rio Olympics piece about a chef using leftover food waste from the event to create dishes for people in the nearby favelas that had gone viral on Facebook. “To be able to get Ian [Herbert, chief sports writer]– because we can see a story is doing well – out of the Olympic stadium and to go down the road and go and do a video piece on his iPhone with the chef – it just shows the kinds of decisions you can actually do when you’re focused. “If you’re still doing a paper at that point, the conversation you would have to have to get the chief sports writer out of the Olympic stadium to go and see a chef – it’s not really going to happen. 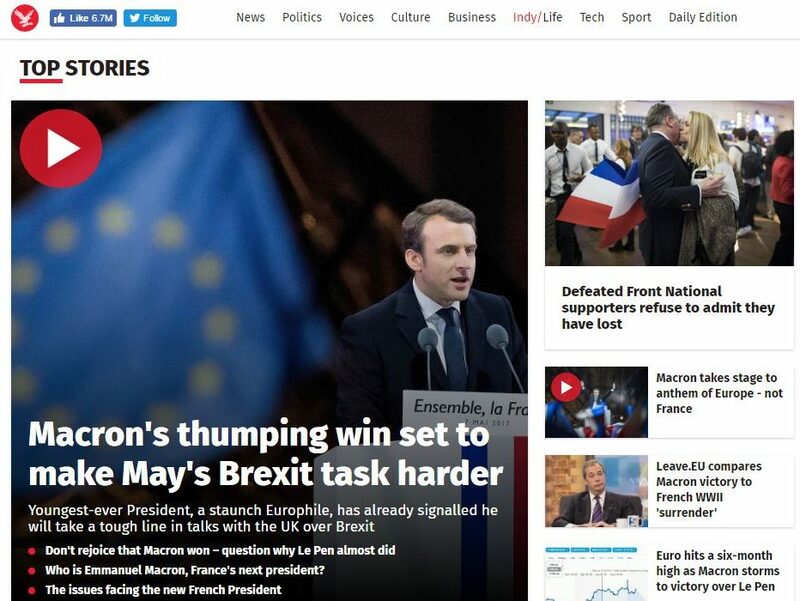 The current economic model for free-to-access general news websites, such as The Independent, relies on digital display advertising and sponsored content for its income. 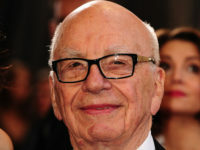 Leonard says there are about a dozen different sources of advertising revenue – from banners to micro-sites – that sit alongside The Independent’s income from licensing and syndication, e-commerce, Daily Edition app subscriptions (at £12.99 a month) and a growing events offering. The title also uses Facebook Instant Articles, which gives publishers a share of the platform’s ad revenue generated by its content. Leonard says the Indy is “fairly compensated” for doing this, though much of the income is derived from the US, not UK, market. While advertising pays the majority of the bills, Broughton tells Press Gazette that for him “it’s not just about driving traffic to site”. “I would say there are three things that we’ve got to do,” he says. “We’ve got to have great quality journalism that represents the Independent and brings in new readers. If we can tick those three boxes we are in good shape. “It’s not just about traffic, it’s about telling stories that are very heart and soul Independent in a quality way. “When I see the [data] board at the end of the room full of really important news about international affairs and Korea and Trump and Brexit and politics and Corbyn and really substantial topics, I know we are doing a good job. “People aren’t bored with the news agenda, they feel incredibly passionately about it, so if we can harness that passion – and I think The Independent has always been a very heartfelt newsbrand – and if we can tell those stories and explain those things that people want explained, you end up bringing in an audience that kind of suits the Independent really and your social following suits the Independent. Broughton says he is conscious of preserving The Independent’s distinctive identity as a digital-only brand. “An awful lot of what we do really says a lot about us too. You can see it’s very Independent. People sometimes say to me that’s very Independent and I say well, that’s great, because if we all know what that means that’s a really good thing. Trying to compare the Independent’s business model now with how it was over a year ago, when the newspaper was still being printed, is like comparing “apples and oranges” says Leonard. But he says he is confident in the The Independent’s revenue streams “because of its diversity”. “Diversity is critical in terms of owning a platform,” he says. “I think that I would like to see an increasing growth of non-advertising revenue, whether that’s B2C transactions or more subscription products or more events. After a year of forging a new path for The Independent in the digital space, what is the biggest lesson Broughton has learned? “I think there’s a lot of negativity about journalism at the moment and I’ve seen up close and I’ve lived for many hours of every day in the past 365 a newsbrand that I love dearly find a great future at a time when I read of so much kind of anxiety and problems. “I’m starting to think that we are a really problems-fixated industry. “I think Fleet Street loves looking at what could go wrong – and negatives and actually there has never been a better time to take energy and ideas and launch new things, redesign sections, bring things back to life and get things on an upward trend and I think while digital presents loads of problems it also presents loads of great, new opportunities. “It sounds so banal to say it, but it’s true. With the right energy and enthusiasm and keeping looking forwards and looking for what we can do next it’s still an incredibly addictive really enjoyable industry to work in. “And there’s never been a moment like this where readers need to be served with high-quality, trustworthy, brilliant journalism. So although it’s been tremendously hard work, it’s felt like a really enjoyable year as well. “It’s a really nice atmosphere on the team here. There are so many ideas coming from so many different places. So many people working so hard and really happy to because they believe in the journalism they are producing and it’s incredibly rewarding to see the readers come in and read that. Last night I was in the quest for one of the best games which helps me to improve my skills along with entertainment so you may switch to these fireboy and watergirl games and can have exact path for playing these games. The Independent should take more care with the brand, when posting stories via Apple News at least. Plug in the word Trump and Independent stories proliferate. But the majority turn out to be acknowledged lifts from authoritative US news sources. Readers are left irritated, feeling they have been conned into thinking the story originated in Kensington High Street.